The Australian property bubble, biggest the world has seen since the start of capitalism. 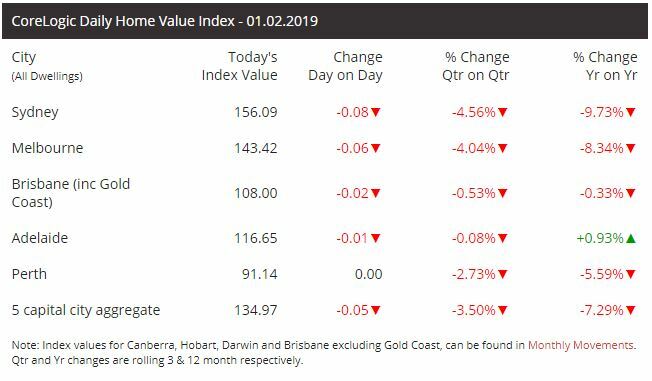 It is 2019, finally after 12 months of declining property prices even the most optimistic experts are admitting we are in some serious trouble down under. We have spent the last 18 months studying the property market, our banks and our economy. We want to discuss our interpretation of findings and how we can brace ourselves of impact, even benefit from it. To make this a bit easier to explain I am going to run a comparison on Australia 2018 vs America 2007. Australia barely felt a pinch during the banking crisis of America, we grew off the back of China, who grew off the back of America. The trigger for the American 2007 banking crisis was, subprime loans and excessive delinquencies that came with them. Dropping interest rates is the way reserve banks save consumers, drop rates and print money. People borrow once the debit gets close enough to the credit, we created that then start raising interest rates to strengthen our economy. This option is not available for Australia, unlike America running 0% interest for a decade and printing trillions of dollars. As of 2018 the federal bank raised interest rates back up to 2.25% causing a catastrophe relapse and driving at least 5 countries (owing to America) into hyperinflation. Another curve ball we are facing is Chinese investors have no access to credit, nor can funds leave China as they are in the same pickle as us. Chinese investors have single handedly destroyed our apartment prices as they’ve bought hundreds of millions of dollars’ worth of “off the plan” apartments which they can not fund. This leaves our government yet again bailing out developers. Then why didn’t we all see this coming? You cannot expect to inflate a balloon past its capacity and not have it blow up in your face. It’s exactly what happened to housing prices due to a serious case of FOMO (fear of missing out), along with some very re-occurring biased mentors to the millennials seeking to build a future. Get in now or never. This was the quote of 2016, however those repeating this quote had not done any research on the economy. Not losing so far left us vulnerable with our guards down, no need to do homework on anything except which property to buy. There are 2 price tags to an item/asset, the price and the value. In Sydney the median house price rose to $1.2m while median rental value is just $550. This is exactly what we mean by the 2 price tags. When a mortgage for a property is $6k per month, we can only be charging 1/3 of that, it makes a very poor investment. With rental prices coming down 1.8% for the first time in 12 years in the last quarter of 2018, we can expect to see prices start tumbling faster than ever in 2019. If complexity is the enemy of execution, then we will keep this part as simple as possible. You cannot save the entire economy, no one can. If you have landed here and can relate to this article, you need to look at cutting costs immediately. Instarent can help you save 100% of your property management fees via our self-manage agent free property management app. Instarent has you covered! The app boasts a range of useful perks and features, such as the loaded tenancy agreements which are signed electronically between landlord and tenant then stored on the cloud. We have also added in extra features like maintenance services- from the tenant requesting a job to the tradesman selected, there is complete transparency amongst the users. Landlords will no longer be blindsided, tenants will be heard, and tradesman won’t waste their time quoting jobs that don’t yield a return. All property data stored on the app is fully secure meeting Australian and global security standards. Instarent is hosted by Amazon, integrated with PayPal for payments and meets global security requirements. We pride ourselves on high tech security as our main priority is to keep our users safe and our app easy to use.